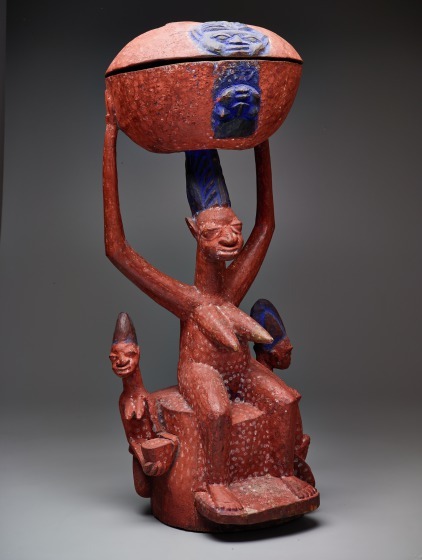 Shrines dedicated to Shango, the Yoruba god of thunder, are furnished with mortars turned upside down to support large lidded calabash bowls. 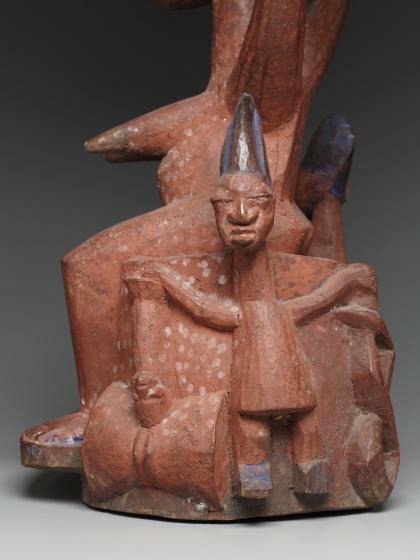 Shango priests store the deity's thunderbolts (Neolithic celts or axe heads), kola nuts, food offerings, oshe Shango (dance wands used to honor the deity), and other ritual paraphernalia in the bowls, which are placed on an upturned mortar. 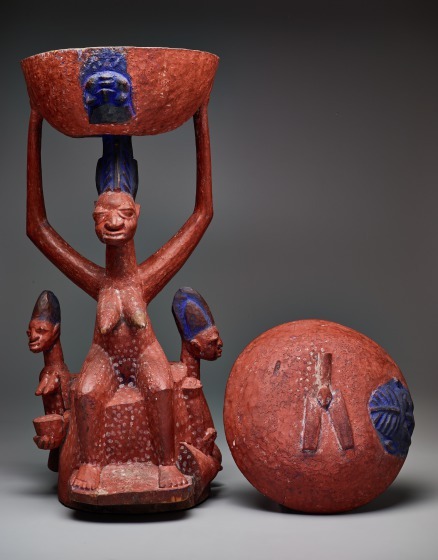 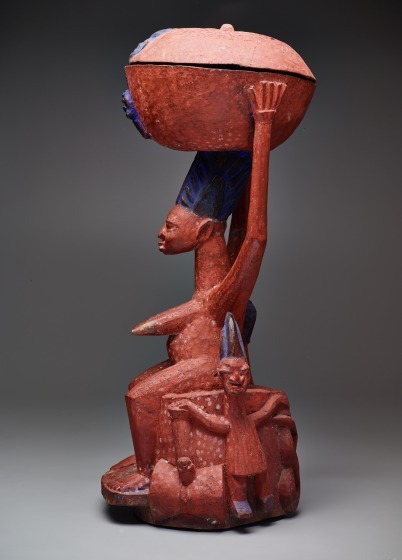 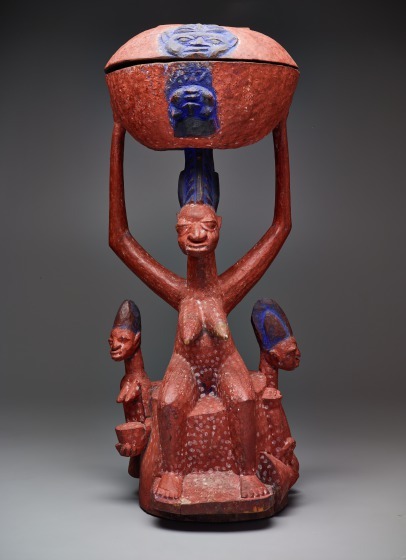 In the Igbomina and Ekiti areas, Shango shrines are adorned with large sculpted arugba, or bowl carriers, like this arugba Shango, carved by Akobi Ogun Fakeye (c.1870-1946), that depicts a seated female holding a lidded bowl above her head. 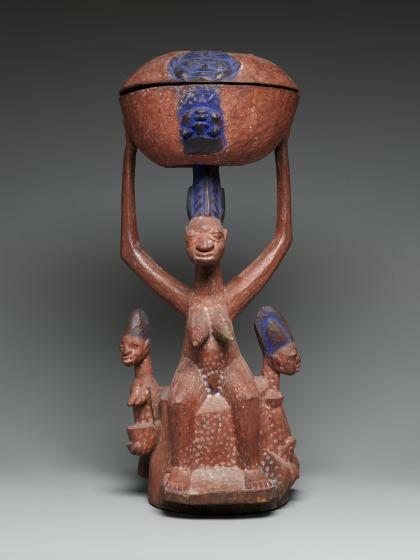 The central figure in a caryatid vessel is always female, depicted either kneeling or seated on a mortar, holding a large lidded bowl above her head with both hands. 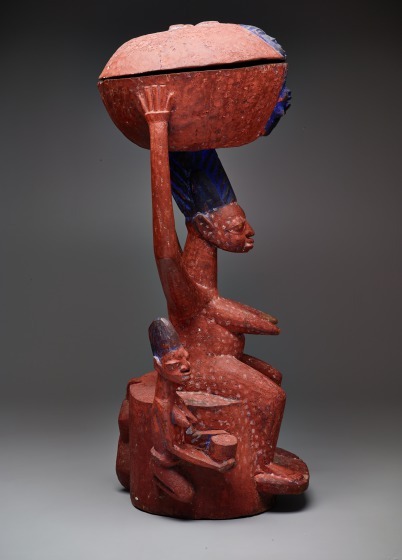 She represents a successful petitioner whom Shango blessed with children, one of which holds a bowl while the other one carries an oshe Shango in one hand and a dried stockfish in the other. 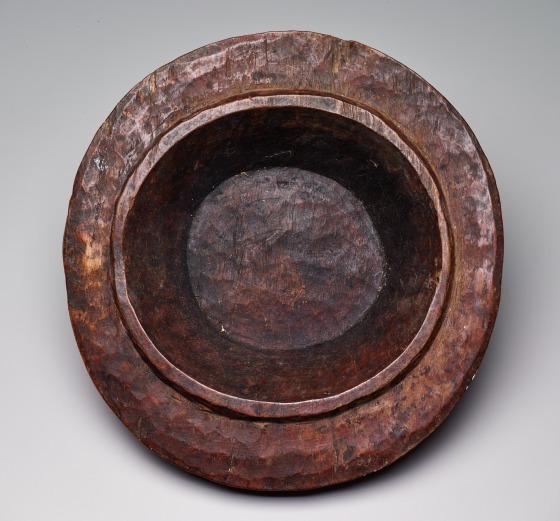 The bowl itself is thought to be a metaphor for the womb, which Shango can fill with a new life if the devotee is faithful to him. 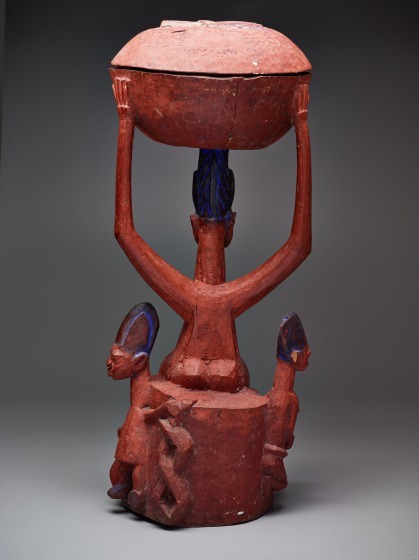 The front and lid of the bowl are embossed with faces painted dark blue in reference to one's ori inu (inner head or personal destiny). 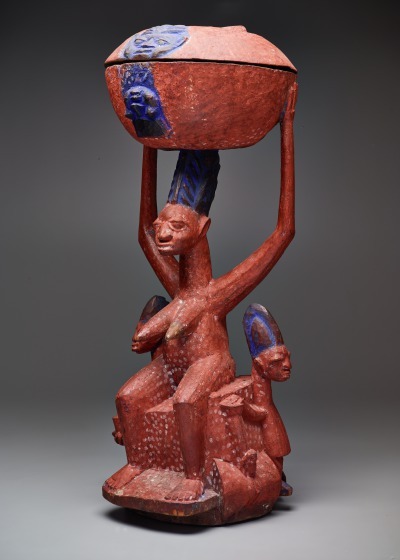 Devotees touch the heads with their own foreheads while making an offering to Shango.